The workshop is called Lyrical Landscape - The Creative Process and it pursues the theme of landscape through the medium of watercolour. This is a real treat for anyone who is contemplating a summer of landscape studies. It is suitable for beginners as well as more experienced artists. In this one-day workshop Sarah will help you to explore watercolour and show you how to reflect colour, atmosphere, space and light within landscape. Come with an open mind and experiment with paint, collage and pigments. It is a wonderful opportunity to explore your creativity and connect, engage and play with developing colour palettes through a series of studies. You don’t have to be experienced in watercolour to benefit from this workshop – beginners are also welcome. 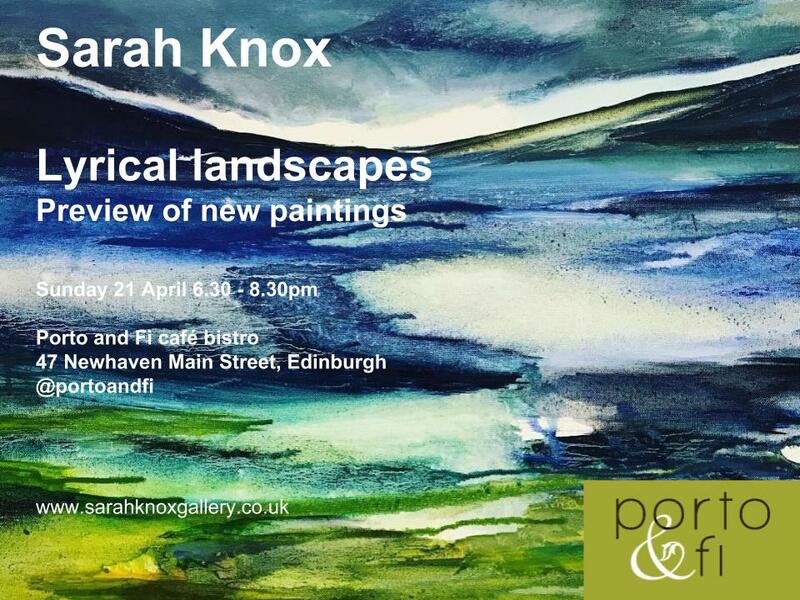 Sarah is delighted to be exhibiting a new exhibition, 'Coves and Coasts', at Humbie Hub, East Lothian. The private view is on Friday 5 October, 6.30pm-8pm, and the exhibition runs until Tuesday 6 November.